1. Becoming a designer was a personal rebellion against family expectations. The young Quant was eager to study fashion design, but her schoolteacher parents opposed these career plans. She eventually studied illustration and ended up gaining a degree in art education at Goldsmith College. After graduation, she did an apprenticeship at a hatmaking business and took evening classes on cutting and other technical skills which came in handy once she got into designing clothes. 2. Revolutionizing shopping culture. Quant was revolutionary not only because of what she was selling, but also how she did it. Bazaar, her first boutique, opened in 1955 on the King’s Road, Chelsea and became an immediate hit. The shop had an informal setup, modern lightning, extended opening hours and loud music, so it offered a radically new shopping experience. Wearing and buying clothes should be like going to a party – fun and joy. 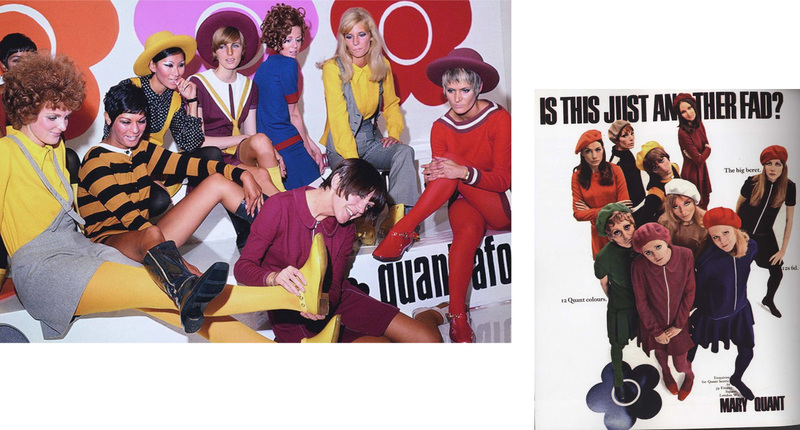 Initially, Bazaar sold clothes designed and produced by others, but Quant quickly became disappointed with available items on the market. So, she decided that she would design and produce clothes for the shop and the rest is history. 3. Pioneering in mass production. 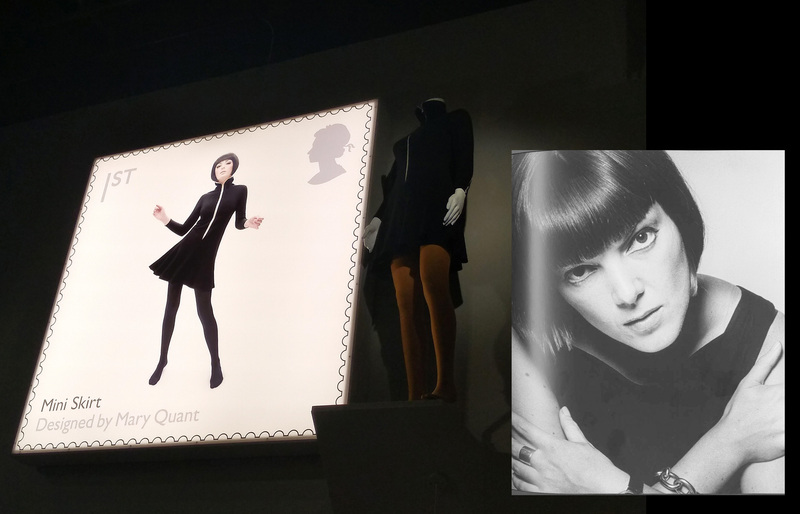 Quant wanted to create affordable fashion. In the 60s, she started to export to the US and created the Ginger Group diffusion line for the J.C. Penney department stores. In order to make Quant items available for everyone, she incorporated mass-production techniques into the manufacturing process. Quant clothes soon were exported to many countries in the world and her clothes became available all over the globe. 4. Spreading fashion by sewing patterns. Quant clothes were not the cheapest clothes you could find in town, but they were definitely the cheapest designer items on the shelves. Still, if you could not afford to buy one, you could still make one for yourself! When Quant started designing clothes for Bazaar, she used and remade sew patterns by the Butterick Paper Patterns Company. 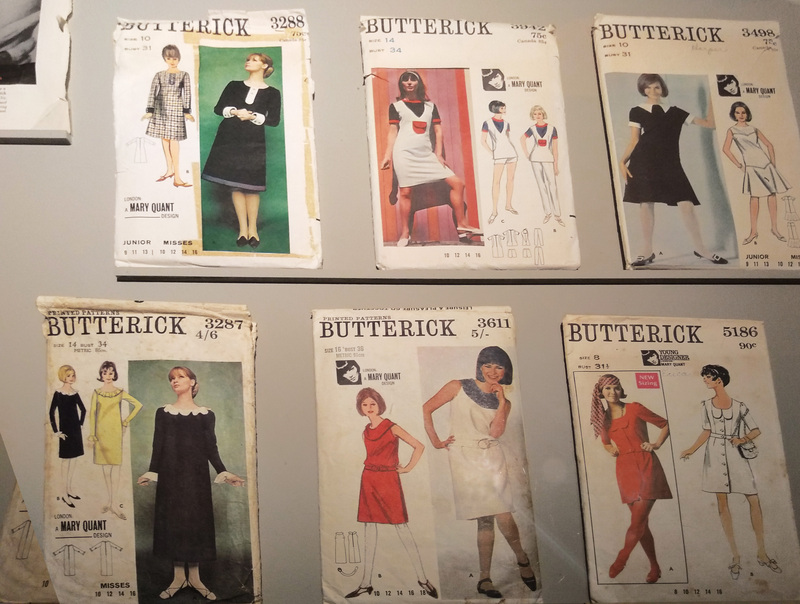 After she had become successful, she created a collection for Butterick patterns and you could make your very own Quant at home! Can you imagine a more sustainable way of getting new clothes than making your own? 5. Putting a mini skirt on every girl in town. There is nothing which characterizes the swinging London era better than the mini skirt. The mini quickly became a symbol for feminism and liberation of women’s bodies. It is not clear who invented it, Quant actually claimed it was the women themselves who kept asking for higher and higher hemlines. But it was definitely Quant who popularized it and put it on the streets. Also, Quant was the one who introduced colourful tights which were a perfect match for the mini. At that time, such tights were used only in theatres, so she actually had to get theatrical tights manufacturers to make them for her! 6. Radical materials. 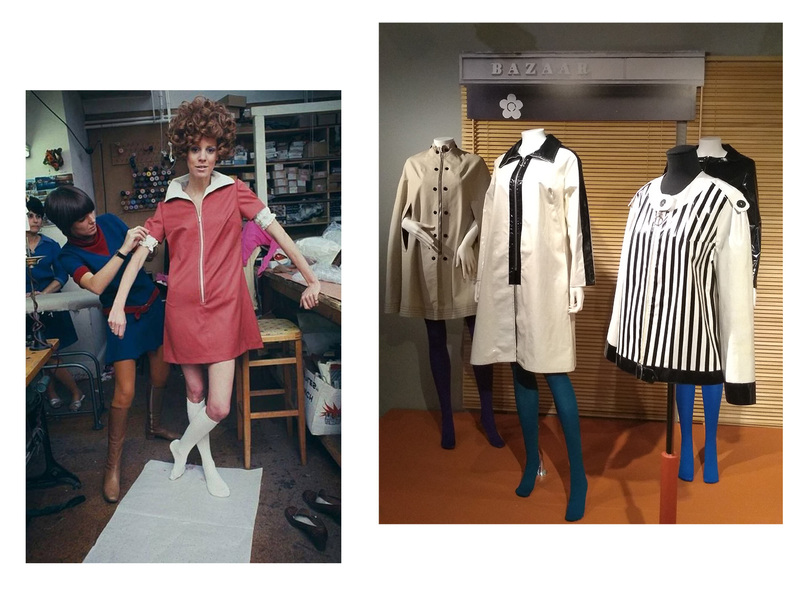 Quant liked to use unexpected fabrics, she started to experiment with PVC in the beginning of the 60s. She needed to adapt sewing machines and get special needles, but it was all worth it. 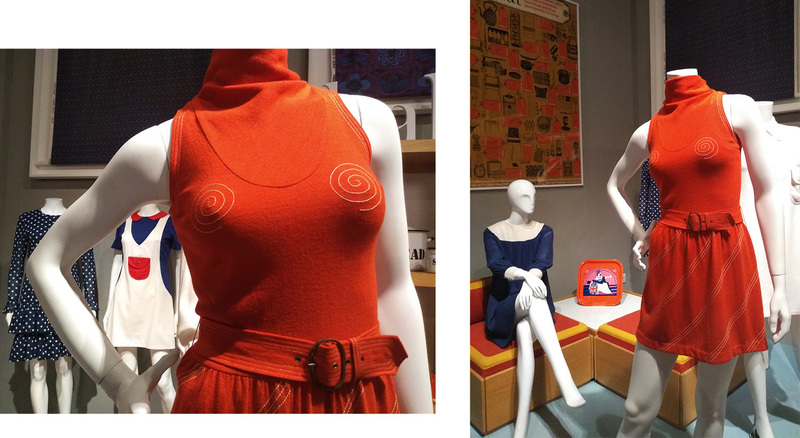 Her most famous collection was probably the ‘Wet’ collection in 1963 with its colourful raincoats and hats. 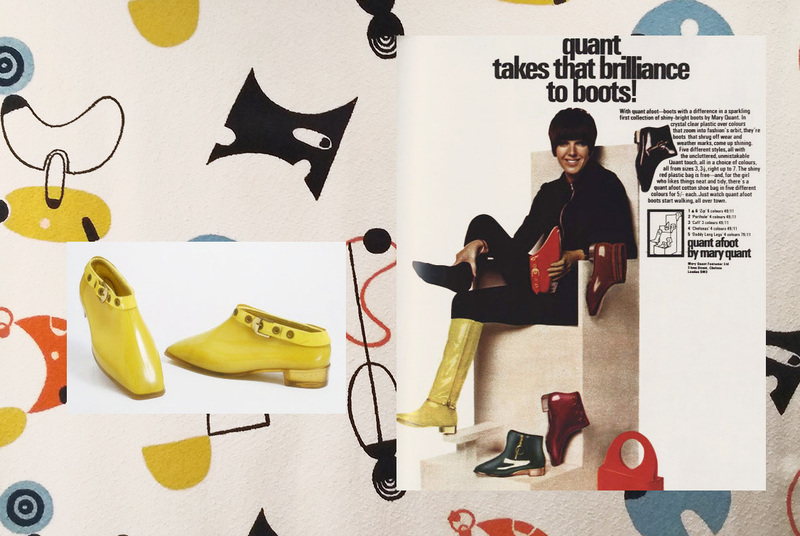 She also used later PVC for her Quant Afoot shoe collection to create shiny, waterproof boots. 7. Crazy make-ups. 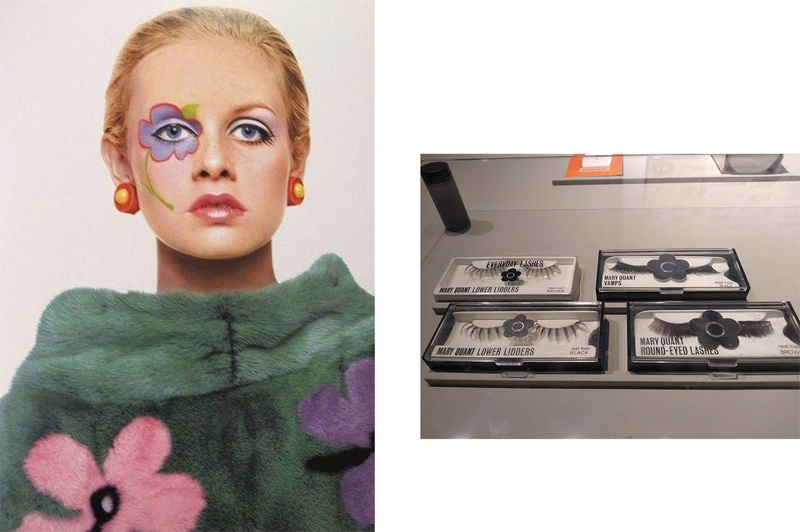 Quant is known mostly as a fashion designer, but in the mid-1960s she also became interested in make-up and cosmetics. As she explains in an interview, the clothes on the people on the street were different, but the faces were still not right. Her line of beauty products, eye-shadows and lipsticks revolutionized the industry. She introduced new colours and crazy names under her unique daisy trademark.